Soundproof Cow - Acoustic Foam Panel 1"
Whether you’re a guitarist who likes to randomly shred a chord or two out on your guitar, or you’re an office worker seeking to keep noise pollution at bay, you both have one important desire in common: keeping outside noise out, and inside noise in. Acoustic foam panels are perfectly crafted to meet your noise retention needs both in the home and the professional sphere of business facilities. You don’t have to be an installation engineer to set up your 1-inch acoustic foam panel, either. Our conveniently crafted foam panels feature simple peel-and-place application, so you can ensure a smooth installation process without the added hassle or headache. 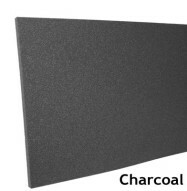 The variety presented by our 1-inch acoustic foam panels is just one of their assets. Their size and sound absorbing capabilities make them perfect for the following locations: ceiling tiles, computer and server roams, equipment enclosures, gun ranges, automotive cabs and office equipment rooms. With the options your home or business needs, you don’t need to pay more to soundproof your surroundings. Choose from our varied dimensions and colors such as pumpkin, aqua, charcoal or chocolate — whichever best suits your surroundings and preexisting décor. Our Acoustic Foam Panels are also UL94HF1 fire rated and flat on both sides, ensuring optimum operation in even the hottest of surroundings. Flame resistance and fiber-free composition also make them the perfect fit for any room or building desiring extra protection. Minimal thickness and maximum savings assure you a quality product without extra padded costs — or foam. 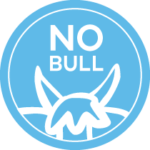 If you’re as convinced at we are that Soundproof Cow is the ideal fit for you soundproofing material needs, place your order today to ensure you receive your products in no time. For larger order or special requests, request a quote or reach out to us with any additional inquiries. Our Acoustic Foam Panels share all the same great acoustical sound absorbing properties as most of our other foam products, but at a lower price. 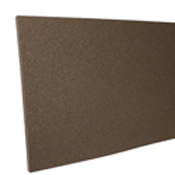 Acoustic Foam Panels are designed to provide good sound absorption with minimal thickness. Made of flexible polyurethane foam, the acoustic foam panel is manufactured to provide optimal uniform cell structure, maximum airflow resistance, as well as good heat, humidity, flame, and chemical resistance. Acoustic Foam Panels are UL94HF1 fire rated and flat on both sides. Acoustic Foam Panels are available in a variety of dimensions, with a variety of protective facings, and with or without Pressure Sensitive Adhesive (PSA) for an easy peel-and-place application. Engineered for performance — Acoustic Foam Panels are engineered to be an excellent sound absorption product at a low cost. Acoustic Foam Panels absorb sound generated at low, mid and high frequencies. 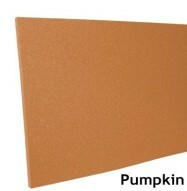 Quality — Acoustic Foam Panels are made with flexible, professional grade acoustic polyurethane foam. The foam keeps its color longer than other lower quality foams. Acoustic Foam Panels are firmer than other acoustic foam products on the market, which adds protection against rips or tears. The foam is consistent in density and firmness so acoustic performance will also be consistent. Ease of Installation — Acoustic Foam Panels are lightweight and can be attached to a variety of surfaces. No special tools or materials are needed. Acoustic Foam Panels are available with a Pressure Sensitive Adhesive (PSA) backing for an easy peel-and-place application. 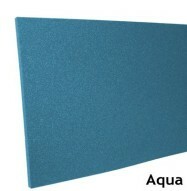 Fiber Free — Acoustic Foam Panels are safe to use in clean room, medical and computer equipment environments. 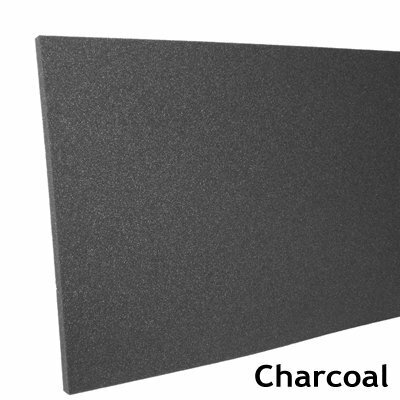 Flammability — Acoustic Foam Panels are manufactured from polyurethane foam that has a flammability rating of UL94 HF-1. Before choosing this product, be sure the flammability rating passes your local building code for exposed materials.